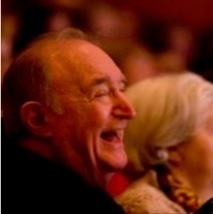 Wynn Handman, a lifelong New Yorker, is the Artistic Director of The American Place Theatre, which he co-founded with Sidney Lanier and Michael Tolan in 1962. His role in the theatre has been to seek out, encourage, train, and present new and exciting writing and acting talent and to develop and produce new plays by living American writers. In addition, he has initiated an Arts Education Program, Literature to Life, which through a unique combination of interactive theater, literature and education brings books to life, inspiring young people to to find their own voice. A noted acting teacher for over 50 years, Wynn Handman has trained many outstanding actors including: Alec Baldwin, James Caan, Kathleen Chalfant, Chris Cooper, Michael Douglas, Sandy Duncan, Mia Farrow, Christopher George, Richard Gere, Joel Grey, Allison Janney, Raul Julia, Frank Langella, John Leguizamo, Susan Lucci, Burt Reynolds, Tony Roberts, Anna Deveare Smith, Mira Sorvino, Christopher Walken, Denzel Washington and Joanne Woodward. Handman has been instrumental in bringing to the stage the early work of many of America’s finest playwrights, including William Alfred, Ed Bullins, Phillip Hayes Dean, Maria Irene Fornes, Ron Milner, Jonathan Reynolds, Ronald Ribman, Sam Shepard, George Tabori and Steve Tesich. He has introduced plays by writers from other disciplines, such as Donald Barthelme, Robert Lowell, Joyce Carol Oates, Sylvia Plath, Roger Rosenblatt, Anne Sexton, and Robert Penn Warren. Important writer/performers received early recognition through their work at The American Place Theatre, including Eric Bogosian for Drinking in America, John Leguizamo for Mambo Mouth, Aasif Mandvi for Sakina’s Restaurant, and Dael Orlandersmith for Beauty’s Daughter and Bill Irwin for The Regard of Flight. He is a recipient of the 1999 Obie for Sustained Achievement; the Lucille Lortel Award for Lifetime Achievement presented by the League of Off-Broadway Theatres in 1993; the Rosetta LeNoire Award in 1994 from the Actors' Equity Association in recognition of his artistic achievements and contribution to the “universality of the human experience in American theatre”; two Audelco for Excellence in Black Theatre Awards, as Best Director for Zora Neale Hurston, in 1990, and Fly in 1998; the Carnegie Mellon Drama Commitment to Playwriting Award in 1996; the Working Theatre’s Sanford Meisner Service Award for “his leadership in disseminating the arts to working people,” and was honored by The New Federal Theatre in 2001. In addition, he received from the Alumni Association of City College of New York, The Townsend Harris Medal, “in recognition of his distinguished contributions to his chosen field of work and the welfare of his fellow men." In May 2003, Handman was awarded a Doctor of Humane Letters by the University of Miami. Wynn Handman holds a MA degree from Columbia University. Plays he has directed at The American Place Theatre include: Manchild in the Promised Land which he adapted from the novel by Claude Brown; I Stand Before You Naked by Joyce Carol Oates; Words, No Music by Calvin Trillin; Drinking in America by Eric Bogosian; A Girl’s Guide to Chaos by Cynthia Heimel; Free Speech in America, and Bibliomania by Roger Rosenblatt, with Ron Silver; Coming Through also adapted by Handman; Spokeman written and performed by John Hockenberry; Fly by Joseph Edward; and Dreaming in Cuban and Other Works: Rhythm, Rum, Café con Leche and Nuestros Abuelos by Cristina Garcia and Michael Garcés. In addition, he has adapted and directed many of the American Humorists’ Series productions.